The most beautiful dogs on the Upper West Side walk out of our salon every day. 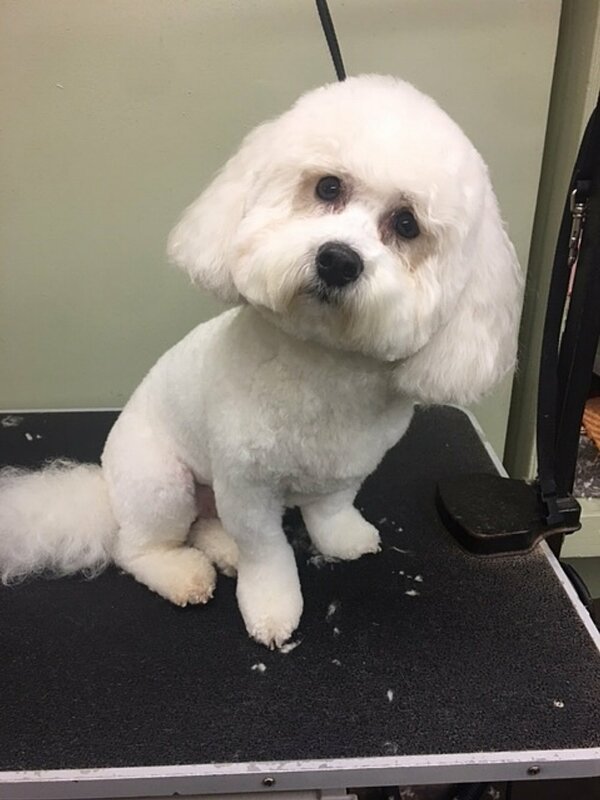 Not only are our highly experienced, certified groomers expert at the grooming standards for all breeds, they are experienced dog handlers who know how to make your dog comfortable and relaxed during what can be a stressful experience for many dogs. Our groomers strive to make all our clients happy – canine and human. Full service grooming (like a day at the spa) includes bath, cut, brush out, blow dry, ear cleaning, and a nail trim. We groom seven days a week by appointment only. Proof of current vaccines required.